Bookings and enquiries please email to our respective operating officer. All confirmed bookings will be email out by People Express Travel. Please refer to People Express Travel when making payment for the prevailing market rate. Should the Malaysian government change its foreign exchange system, People Express Travel reserves the right to change the conversion rate on section 2.20 correspondingly. All prices quoted are correct at the time of printing. In the event a service provider increases its prices to People Express Travel during the course of this contract, People Express Travel reserves the right to increase the prices under this contract. As a general rule, only one piece of luggage and one carry on bag will be allowed for each client. People Express Travel reserves the right to collect payment directly from the clients for any additional costs (including transportation costs) incurred for excess luggage. 6.1	Services providers such as hotels, carriers, restaurant contractors or any other companies related to the services provided may charge cancellation, amendments and/or no show fees depending on the situation and/or circumstances. When they levy such charges, these charges will be billed to agent through People Express Travel. 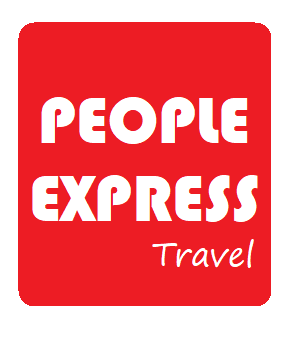 People Express Travel cannot be held responsible for charges incurred due to unforeseen circumstances. 7.1	People Express Travel must be notified in writing of any cancellation by fax or electronic mail. A notice is only considered to have been served provided that an acknowledgement and acceptance by People Express Travel is obtained. 9.2	An infant is defined as an individual up to 2 years old. A child is defined as an individual above 2 years and below 12 years. 10.1 People Express Travel acts only as agents for transportation companies, hotels, car rentals and all other contractors/suppliers and finalizes all arrangements upon the expressed condition that it shall not be liable for any injury, damage, loss, accident, inadvertent errors in booking, delays generally or irregularity which may be occasioned either by reason of any defect in any vehicle, vessel or aircraft or through the acts or defaults, of any company or person engaged in conveying or accommodating passengers or in the carrying out of arrangements of the ground content, tours or otherwise in connection with its operations. To protect you and People Express Travel, we require all clients to be adequately insured against the above-mentioned liabilities. 10.2 People Express Travel will not be responsible for any additional expenses incurred by the client/s as a result of the foregoing causes over which it has no control, such as war, civil disturbance, fire,floods, unusually severe weather, acts of God or Government, broken machinery or equipment required as part of client/s’ itinerary, or unavoidable events that caused the clients’ itinerary unenforceable. 10.3	Descriptions and conditions are correct in the website. People Express Travel reserves the right to alter the itineraries and/or substitute services with or without prior notice as a result of circumstances beyond our control or if it is deemed to be in the best interests of all parties concerned. 10.4	Upon its execution to each party, this website shall become binding and enforceable according to its terms. If more than one party is obligated by any terms stated in this website, those parties shall be jointly and severally liable for the performance of those obligations. 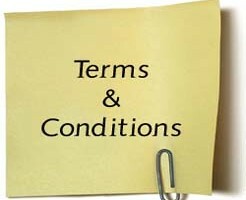 10.5	The terms & conditions here shall be interpreted in accordance with the law of Malaysia as that law is construed and amended from time to time and any action in connection here shall be brought in the Malaysian court having jurisdiction. 10.6	In the unfortunate events where sections 9.10, 9.20 and 9.30 must jointly or separately be observed, People Express Travel shall not be held liable for any liability above and beyond the costs incurred in the provision of the services rendered. 10.7	People Express Travel reserves the right to amend any provisions in this website. 10.8	Commencement of service will signify acceptance of the above conditions and responsibilities outlined. 11.1	Any term, condition, stipulation, provision, covenant or undertaking in these General Terms and Conditions which is illegal, void, prohibited or unenforceable shall be ineffective only to the extent of such illegality, void ness, prohibition or unenforceability without invalidating the whole such term, condition, stipulation, provision, covenant or undertaking or affecting the validity or enforceability thereof and any such illegality, void ness, prohibition or unenforceability shall not invalidate or render illegal, void or unenforceable any other term, condition, stipulation, provision, covenant or undertaking herein contains.